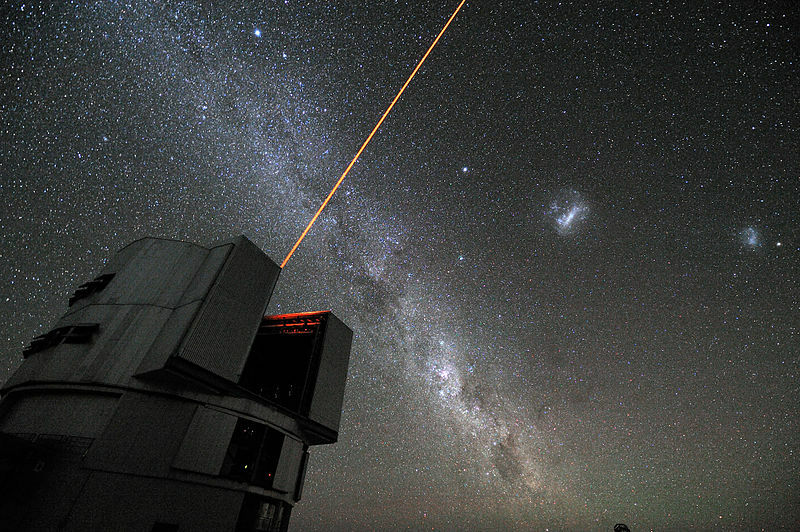 Most publicity photo sets of the really big telescopes and observatories will invariably include one like the above, featuring one of the telescopes shooting a bloody great laser beam into the sky. It makes for a very pretty and very striking image, but it’s also something that I know confuses a lot of people as they can’t really see why a telescope would need a laser attached to it unless astronomers are harbouring some hitherto undisclosed universal megalomaniac quality that makes them want to turn their observatory into the Death Star. Lasers are not something that fit into the popular conception of an observatory, and the reason for this is that they’re a fairly recent innovation: sticking lasers onto your telescope only really became a thing back in the mid-nineties with the advent of something called adaptive optics.